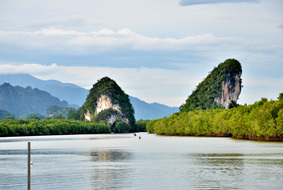 Getting to the Krabi-Khaotong collection point is quite simple. 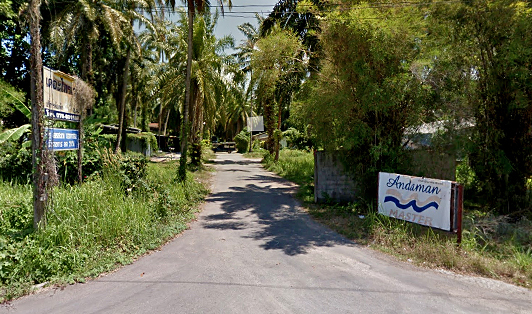 The actual pick-up location will be at number 132 Krabi-Khaotong Road, outside an building with a sign for "Andaman Wavemaster". Just tell your taxi driver and he'll quite easily find it. Once on the bus, the road transfer is going to take around 3 hours. At the pier, the ferry boarding process is quite simple. The ferry staff will shepherd you on to your boat and help you with any bags if you need (which should not be over 20kg for this trip). Please be sure to print out your e-ticket that we issue you. The staff will take this and exchange it for a sticker.